Look up our house painting tips before you get started on the brushes and color. Find out exterior house painting ideas and how you can spruce up the fading and peeling paint. You can enliven your interiors with the right paints and textures. Complement them with the furnishings and décor of the rooms. Before you embark on any house painting job, you would need to estimate the cost, time frame and the kind of finish you are looking for. Are you up to getting the house painting job done yourself or would you rather hire a contractor? You can look up online calculators that can help you plan your painting estimates. Try out different finishes and check out what it would cost you. On an average, a gallon of paint is enough for painting one coat over 400 square feet. But this varies on the surface quality and the color of the paint. Once you have estimated your paint requirements, buy all the required paint, as it will reduce any chances of color variations. The amount of paint needed for the house exterior will depend on the surface area and the kind of paint selected. Surface textures can also affect the quantity of paint needed since rougher surfaces need more paint. Keep the paint out of the reach of children, as it can be extremely poisonous. Make sure that children and pets are out of the way. Use rubber or latex gloves while handling paint and painting materials. Remember that paint materials can be highly flammable. An important house painting tip is to leave a good amount of the same batch of paint for any touch up jobs later. Ensure that all traces of dirt and dust are removed before embarking on painting house interiors. You can use pressure wash to remove peeling paint, bugs and chalkiness. Remove all artwork, wall mounted shelves and other items off the walls. Remove all furniture from the room or if that is not possible at least place them in the middle of the room. Place drop cloths on the area around where you are painting. Use painters tape to wind around surfaces that should not be painted. If you are getting the house painting done yourself, here is another important tip - Start with ceilings, move on to the walls and finally the doors and windows. This sequence reduces risk of having to touch up. Many homeowners are opting to undertake exterior house painting themselves. But it is important to consider various factors before rolling up the sleeves and getting the paint rolled on. Selecting the right type of paints and proper applicators and preparing the surface is vital for achieving a harmonious and pleasing effect. Choose exterior house paints carefully. A vital exterior house painting idea is to choose a color scheme that complements the surroundings. Painting the body of the house a light color and the trim a darker color is a popular painting option. Emphasize interesting architectural details with suitable colors. There are many paint options available for exterior house painting. Oil based paints are durable and resist abrasion well whereas latex paints are easy to apply and retain their color well. 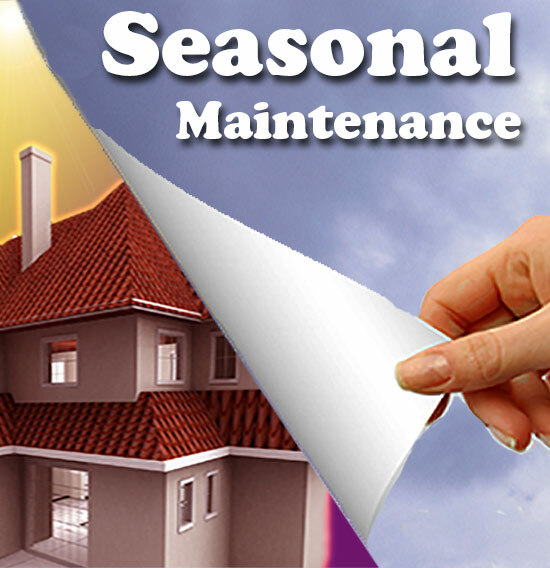 Exterior house painting must be carried out in the morning, when the sunlight is not direct since it hastens paint drying. Direct sun causes rapid drying, interferes with the leveling qualities of the paint and produces lap marks, particularly with latex paints. Dry blisters will develop with oil-based paints, especially with dark colors, if the drying is too rapid. Do not attempt exterior house painting when it is threatening to rain. Ensure that the surface is properly prepared before embarking on exterior house painting. Scrape off old peeling paint and rust. Detergents and cleaners can clear off oily and greasy stains. Cracks must be caulked and rust must be sanded away. Get rid of mildew with a stiff brush. Sandpaper all glossy surfaces and wash them clean prior to painting. Embark on wooden trims and frames around windows and doors after you have completed the main exterior body of the house. Window glasses can be sheathed with special plastic tape to prevent spills. A primer seals porous surface materials to prevent topcoat from soaking in and drying unevenly. It will act as a tight bond between the topcoat and the surface. Try and paint two topcoats of exterior paint to prolong the life of the coating. Choose the right sized brushes. You can use rollers over large flat surfaces. Ensure that your brush is correctly loaded for exterior house painting. Remove excess paint by tapping it on the sides of the container. Dip the bristles till half their length. Use long, smooth strokes when you are using a brush. All metal surfaces on the house exterior must be carefully prepared before painting. Remove all traces of rust, dirt, grease and flaking paint. The surface must be sanded and primed with corrosion-resistant primer. 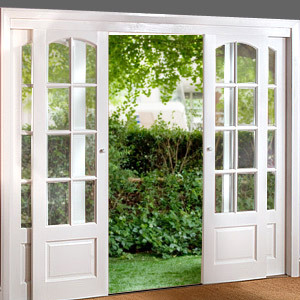 Exterior wood surfaces can be covered with wood stains, either solid or semi-transparent. If you want to bring out the natural wood color and grains, semi-transparent stains are excellent exterior house painting idea. Water-repellent preservative will give the wood some protection against decay, stain, fungus and swelling, shrinking and warping. Paint porches and decks with special paints that are designed to stand weather conditions. 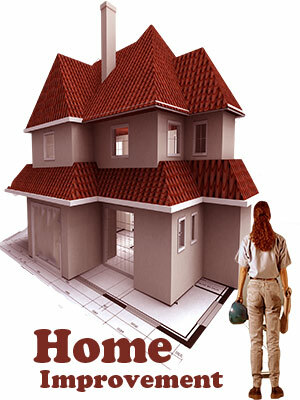 Interior house painting involves choice of the right colors to set the appropriate mood and ambience. You have to take into consideration the color of your furnishings and furniture. Stick to two or three basic shades when painting the house interior. Too many colors can be distracting and overwhelming. While light colors can make the house appear larger, you can skillfully use darker shades to draw attention to details. You have to also pay attention to the effect you seek - gloss or matte. Glossy surfaces are easier to clean but show imperfections and brush strokes easily. Lower gloss paints lend a softer look and are easier to touch up. Gloss paints are ideal for highlighting some area or detailing. Enamel paints are an option for interior walls, especially in high-traffic areas such as kitchen and bathrooms. You can go in for acrylic formulations in the living room and bedrooms. Picking the right roller for your house interior painting is crucial to the final finish and quality. Wool or lambskin rollers are more expensive but are worth the expense. Choose the nap or thickness of your roller based on the type of wall that you are painting. A smoother surface can be tackled with a thin nap roller while a textured wall will need a thicker nap. If you are working with paint rollers for the first time, you may need some getting used to. Roll off excess paint from the roller grid so that you get a uniform finish. Move the roller from the unpainted area to the painted area and from the entry point of the room to the window. Ensure that you move the roller in a straight line or else you will notice lines on the paint. Roll at an even pace as air might get entrapped if you move the roller too soon. Wall surfaces must be rolled with two coats of paint. 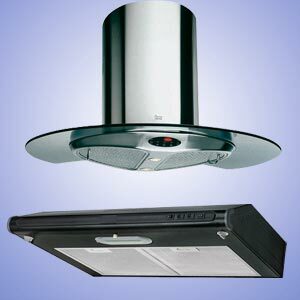 Ensure adequate ventilation for drying. First Published Date: Mar 29 2006 Last modified Date: April 18 2019 This page may have been updated recently as new information is available or the content may have been edited for better readability.